'The Loney' belongs to the Gothic tradition of supernatural storytelling, and it is a genuine standout even among its more hallmark titles. Andrew Michael Hurley, author of two short story collections, Cages and The Unusual Death of Julie Christie. 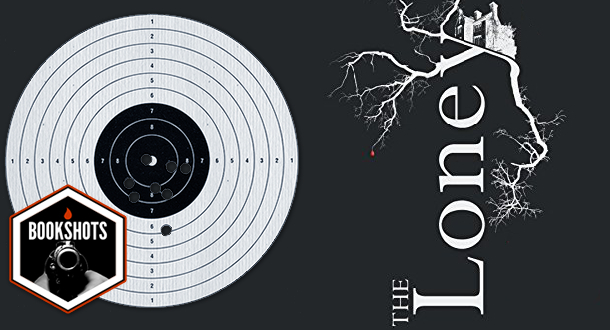 The Loney is his debut novel, originally published in a limited 300 hardcover run in 2014. A man named Smith recounts bizarre experiences in a desolate stretch of beach near Morecambe Bay called the Loney, where his family and their church friends make a regular pilgrimage over Easter weekend in the hopes of curing his brother Hanny's mental disability by way of a miracle. The works of Shirley Jackson and Edgar Allan Poe, as well as Robert Eggers's film The Witch. Smith, who we see mostly as a teenage boy in flashback. He is a quiet and mostly obedient child around adults, though he shows a more mischievous and even fiery side when alone with his brother Hanny. The Loney is a miserable, rainy, desolate place full of religious charlatanry and locals of nefarious character. That's a no. The sunlight that, as we left, had begun to creep over the London suburbs, disappeared the further north we went, returning only momentarily on the shoulder of a yellow hill miles away or picking out a distant reservoir in a second or two of magnesium brilliance. The Loney is a wonderful, wholly engrossing debut from an author who is sure to keep his place on the map of current weird fiction heavy-hitters (the book has garnered positive reviews from The Guardian and The Telegraph, as well as praise from the likes of Kelly Link, Jeff VanderMeer and Stephen King). There are customer reviews on Amazon right now complaining the book lacks suspense and chills, and generally isn't scary, but these are the same criticisms hurled at the aforementioned film The Witch, and Hurley's approach to narrative-crafting is the same as that of the film's director. He is most interested in askance, bleak atmosphere, psychological unease and interpersonal tension (combined with possibly supernatural forces at play) rather than boldface, terrorizing monsters, an approach Hurley masters despite his newness to novel writing. Put another way, The Loney belongs to the Gothic tradition of supernatural storytelling, and it is a genuine standout even among its more hallmark titles. Yet another book goes on my list. Thanks for the great article.